Cats may be refused at arrival: Cats are admitted to the cattery at our sole discretion. 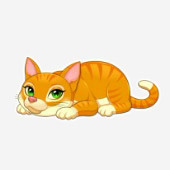 This may mean cats could be refused at time of admission for example if the cat has arrived in a state unsuitable for boarding, such as ill health, injury or other condition where they would be more suitably cared for at a veterinary clinic, or where they could pose a risk of infecting other cats. Sickness or injury procedures during boarding: Cats becoming unwell or injured during boarding will receive their veterinary attention from a local veterinary clinic. In the instance of a cat becoming unwell we will try to attempt the owners before seeking veterinary attention. However if this is not possible, the care of the cat will take priority and veterinary attention will be given. For the sake of your kitty's health and safety, we suggest contacting your veterinarian or a guardian who can provide the proper care.